Pre-game images from the Florida Everblades' Star Wars Night promotion. 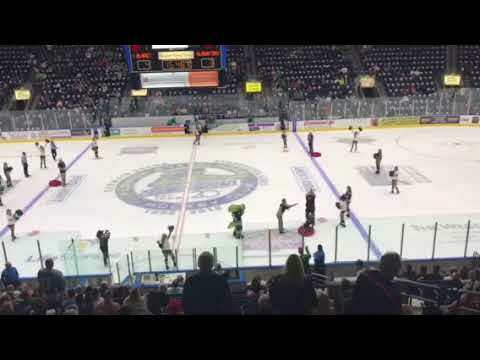 Game of musical chairs during 2nd intermission of Everblades' opener ... wait for the booing. 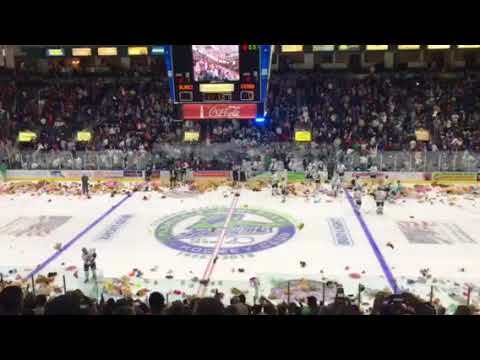 Quentin Shore's goal against the Jacksonville IceMen sets off a Teddy Bear Toss celebration inside Germain Arena.